National Assembly Chairwoman Nguyen Thi Kim Ngan held talks with leaders from Western Australia to seek co-operation opportunities in various fields of mutual interest, such as mining, renewable energy, liquefied petroleum gas, education-training, tourism, seaports and agriculture. At a meeting with Governor of Western Australia, Kerry Sanderson, in Perth on Friday, Chairwoman Ngan expressed her belief that elevating the bilateral strategic partnership on the occasion of Prime Minister Nguyen Xuan Phuc’s visit to Australia in March 2018 will create a foundation for the two countries’ localities and businesses to enhance co-operation. She noted that two-way trade reached nearly US$984 million in 2016. Vietnam is the 16th biggest trade partner of Western Australia. 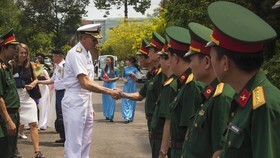 Sanderson affirmed that the Western Australian administration attaches great importance to co-operative relations with Vietnam. Vietnam has a lot of potential to develop tourism with popular destinations like Hoi An, Son Doong Cave, and Ha Long Bay, she said, adding that it is necessary to open a direct air route between Vietnam and Perth. While meeting with President of the Western Australian Legislative Council, Kate Doust, and Deputy Speaker of the Legislative Assembly of the Western Australia, Lisa Baker, Chairwoman Ngan described Western Australia as a leading natural resources mining centre and a top educational centre of Australia, which plays a significant position in Vietnam-Australia cooperation. Vietnam supports businesses from the state to strengthen trade and investment partnerships with Vietnamese localities in order to increase two-way trade to AU$2 billion ($1.5 billion) in the future, Ngan said. 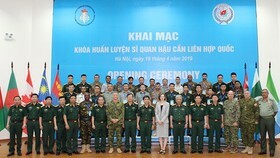 She called on Western Australia to support Vietnam in the fields of its strengths such as agriculture, livestock, water management, and education. The two Western Australian legislators said they want to promote co-operation with Vietnam in science-technology, education and economics. 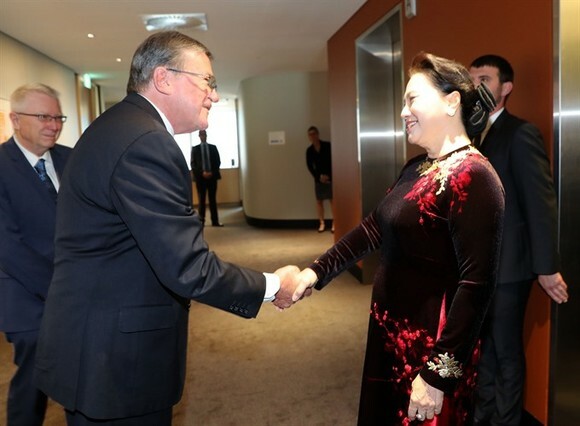 At a meeting with Chief Justice of Western Australia, Wayne Martin, Chairwoman Ngan hailed the signing of a cooperation agreement between the Supreme Court of Western Australia and the Supreme People’s Court of Vietnam. Also on Friday at the Vietnam-Australia Business Dialogue in Perth, Western Australia state, Chairwoman Ngan pledged to stand side by side with Australian enterprises during the process of doing business and investing in Vietnam. Ngân said with a population of 100 million by 2020, improved business climate, upgraded transport infrastructure and increased purchasing power, Việt Nam has drawn over US$313 billion in foreign direct investment (FDI) from 128 countries and territories over the last 30 years, and has become an important link in the global value chain, especially in electronics, apparel, agriculture and fisheries. 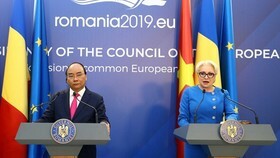 Vietnam is committed to creating the best business environment in accordance with standards of the Organisation for Economic Cooperation and Development (OECD), and continuing to improve the economy’s competitiveness and refine legal regulations, which have been recognised by international organisations, she said, adding that the Vietnamese NA pledges to provide all possible support for Australian investors. 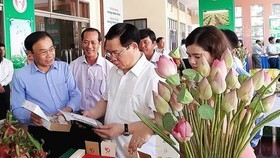 While hailing the huge potential for bilateral cooperation, the top legislator said Việt Nam wants Australian firms to further expand business operations in the fields of manufacturing, energy, infrastructure, agriculture, food processing, mineral resources, telecommunications, services, education and tourism. 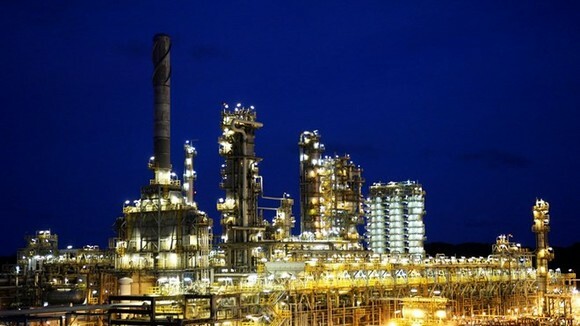 Vietnam also expected Australian businesses to participate in restructuring the financial-banking sector, equitisation of State-owned enterprises, and start-ups in the country, Ngan added. 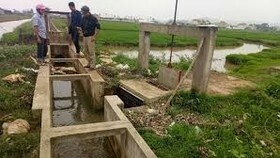 She expressed her wish that Australia and Western Australia state in particular would make it easier for Vietnamese products such as agro-aquatic products, garments, wooden furniture, rubber, electronic products and computer components to access their markets. Vietnam is willing to import wheat, mineral resources, cotton, pharmaceuticals and modern industrial equipment from Australia, the legislature leader said. In his speech, Parliamentary Secretary to the Premier of Western Australia state and Minister for Public Sector Management, State Development, Jobs and Trade, John Carey MLA, said Vietnam is one of the Asian countries that Australia has given priority to developing ties with, adding that Vietnamese is the third most popular language in Western Australia. He said the state authorities are satisfied with Vietnam’s selection of Perth city for its second Consulate General and decided to establish a business advisory council between the two sides. Carey said Western Australia hopes to foster ties with Vietnam on the back of exchanges between their people and administrations, with a focus placed on education, trade and investment. Vietnam boasts the sixth largest number of students in Western Australia, while two-way trade neared US$1.2 billion in 2015-2016, he elaborated. 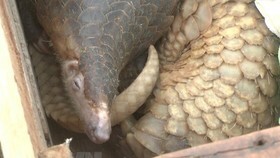 Carey suggested the exchange of regular visits to discuss measures to enhance bilateral ties, thereby bringing more benefits to their two people. 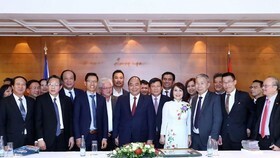 On the afternoon of December 1, the Vietnamese NA leader visited several economic establishments in Western Australia, including the mining group Alcoa and ship-builder Austal, where she has welcomed the two companies to invest in Vietnam.